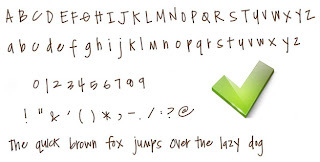 #57 on my 101 in 1001 list is to have my handwriting made into a font. Yesterday, I came across Amanda at Fonts for Peas (via iDIY), a free service that will do exactly that, as long as you follow their simple instructions. How neat! 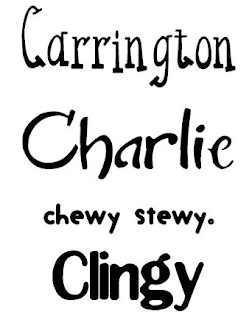 If you're not crazy about your own script, you can also download and use fonts that Amanda has created for others. Movin' this one to the top of my list.